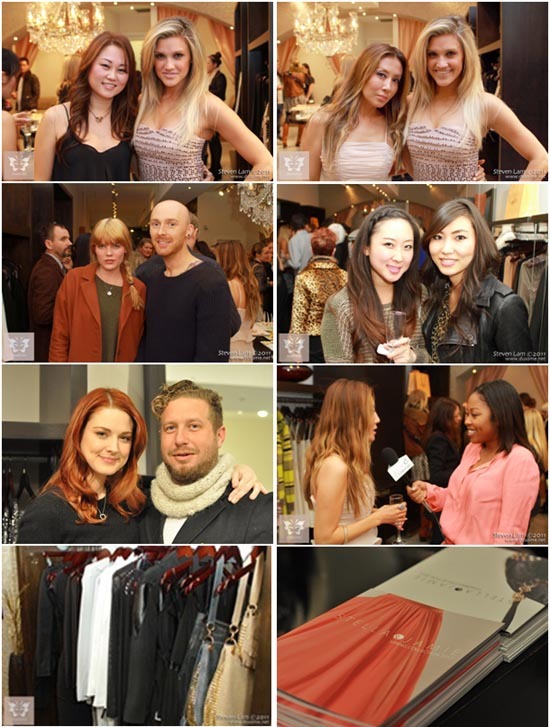 LOS ANGELES, Dec 8, 2011/ — Tuesday night, Stella & jaime celebrated Maxine Boutique’s new store opening with a cocktail party attended by VIP guests Ashley Roberts, Emma Greenwell, Alex Breckenridge, fashion blogger Sade Strehlke and Sueann Han. Pussycat Dolls Ashley Roberts hosted the private holiday event featuring Stella & jamie’s current apparel and handbag collection as well as other contemporary, eclectic designers while guests indulged on champagne and treats. Owner Silvia Joo creates an atmosphere for Maxine Boutique inspired by her love for international fashion and music. This essence is reflected in her unique selection of clothing and accessories. Maxine carries various brands including Karen Zambos, Sass and Bide, Stella and Jamie, and Jill Stuart, as well as a stunning collection of handpicked eclectic designers such as Alexis Lamontagna, By Francine, Ghita, Nanoushka, Charlie 5.0, Nuj Novakhett, Alice McCall, Myne, Pencey, Kova and T, Doma and many more. The accessories include exclusive jewelry by Brazilian designer Ale Churie, designer Aris Geldis, Dannijo and Julie Sandlau, to name a few. For footwear, Maxine offers gorgeous options including Camilla Skovgaard, Vivienne Westwood, Coclico and Tashkent by Cheyenne.